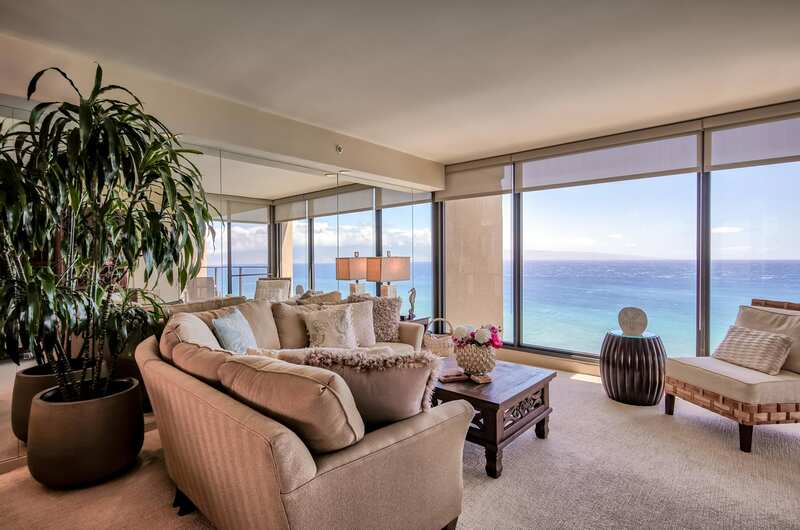 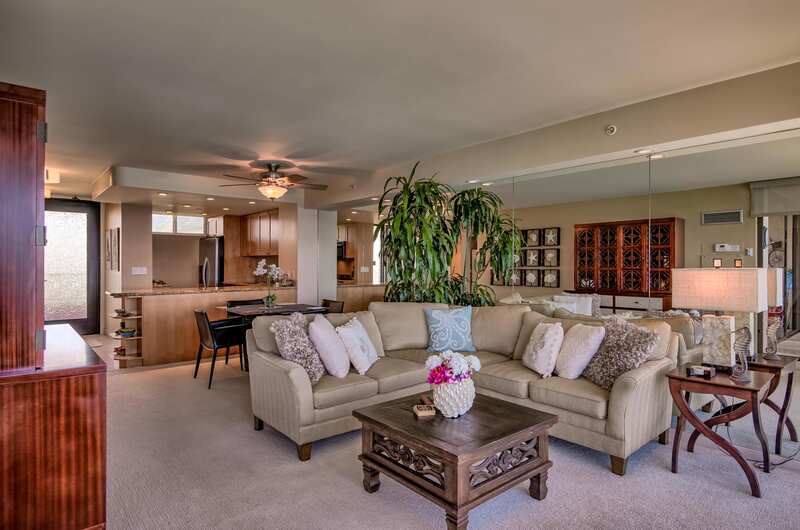 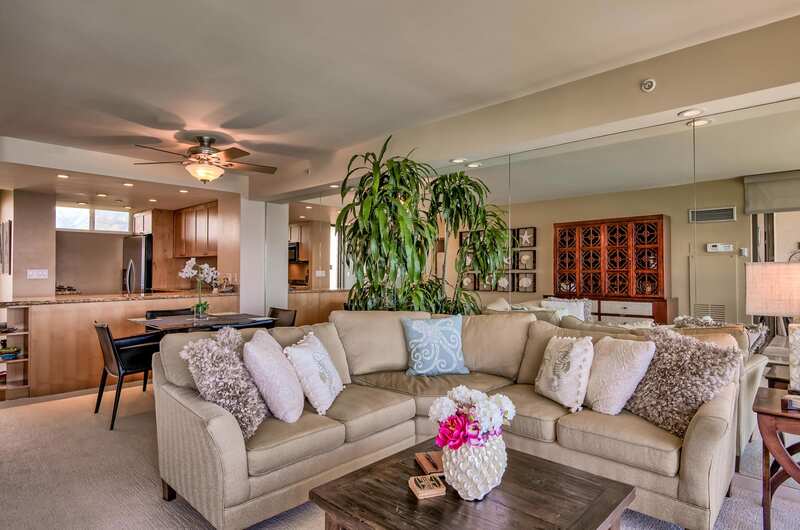 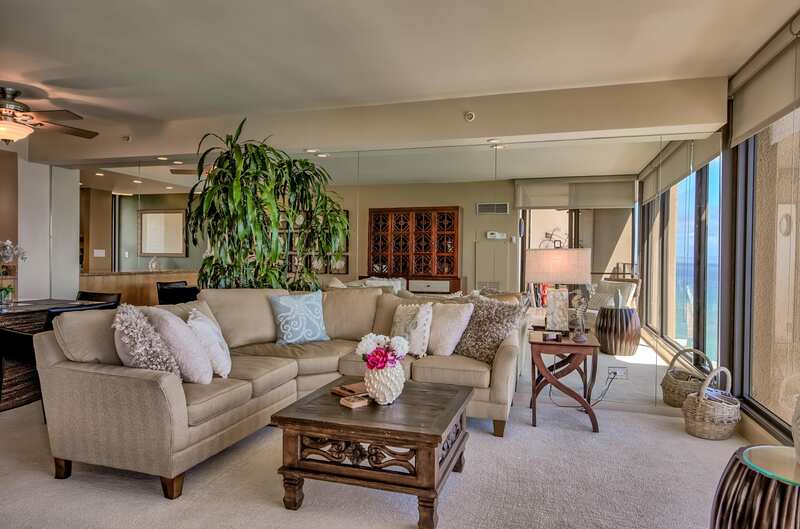 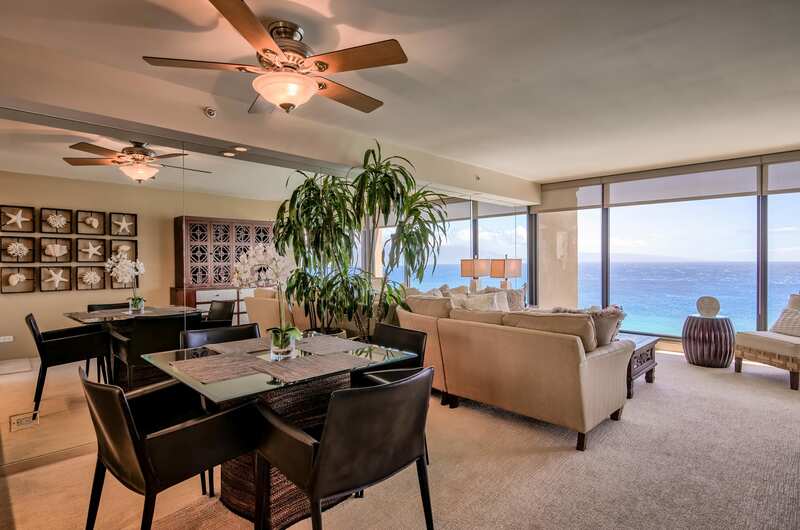 Paradise awaits you in the 12th floor condo offering amazing views. 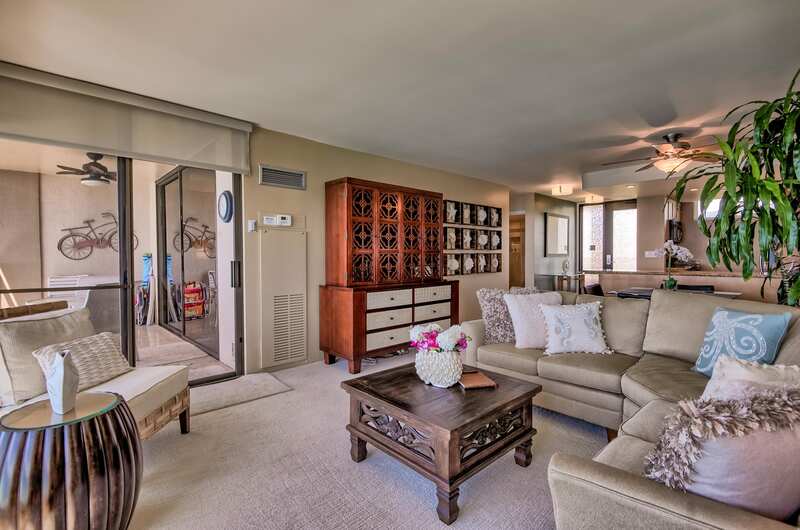 Sit on your lanai or in the unit and enjoy sunsets. 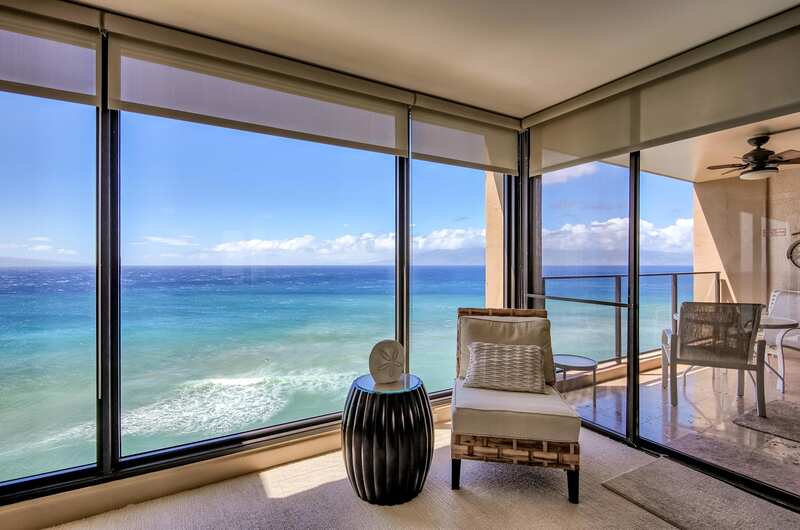 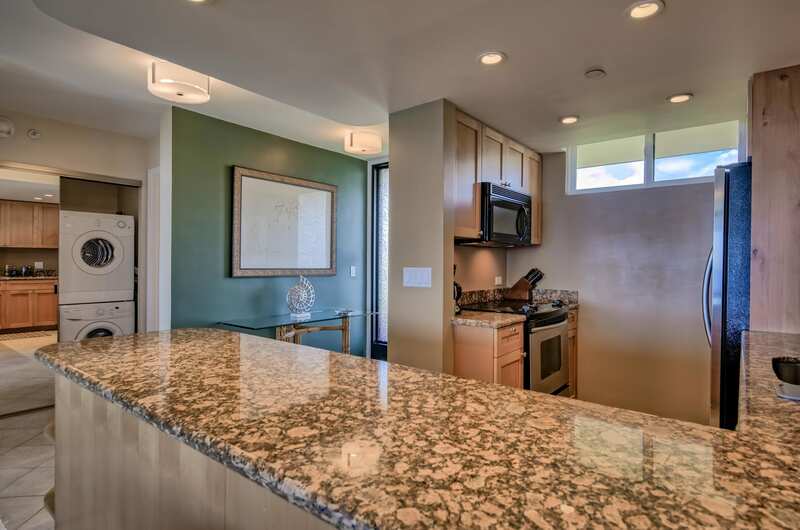 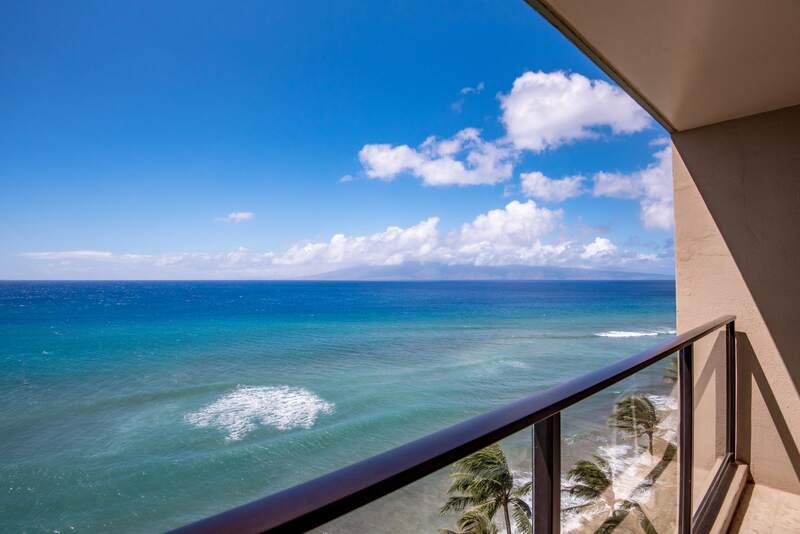 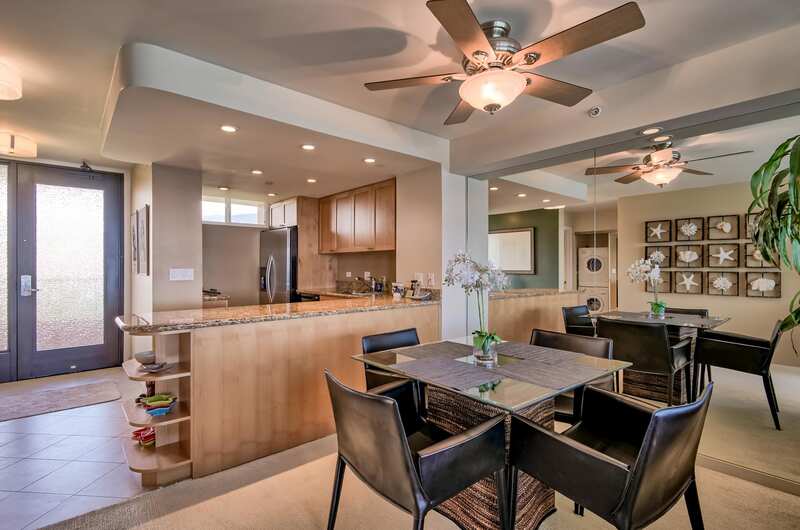 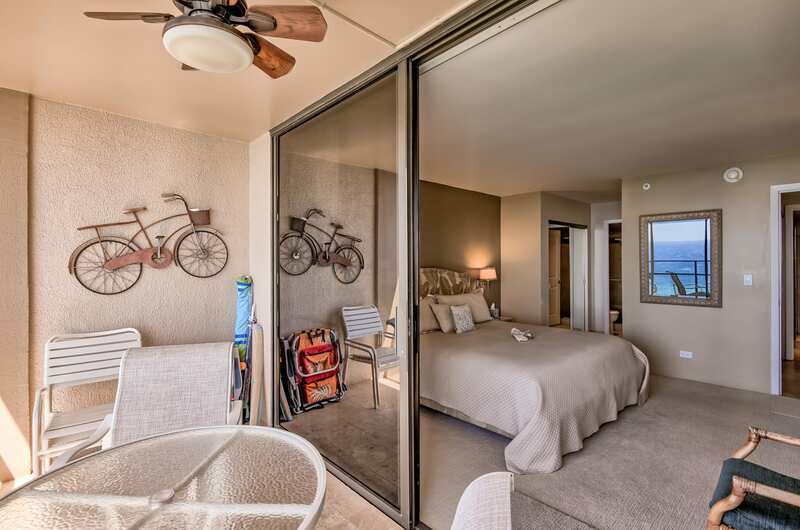 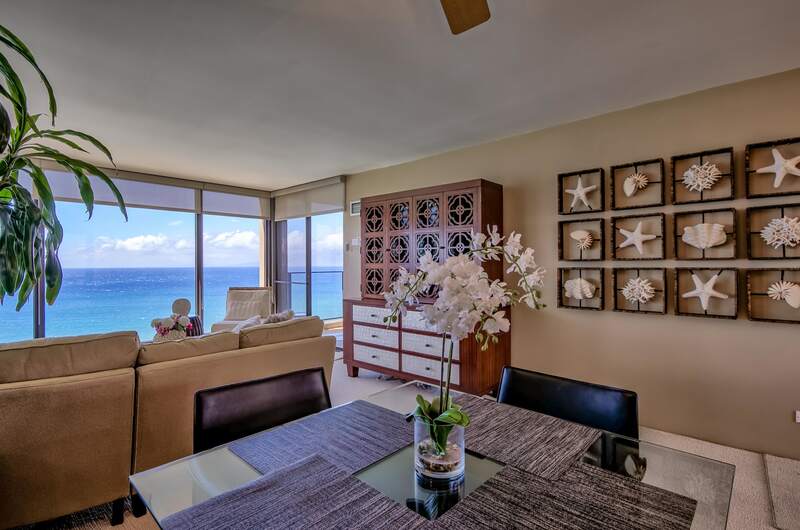 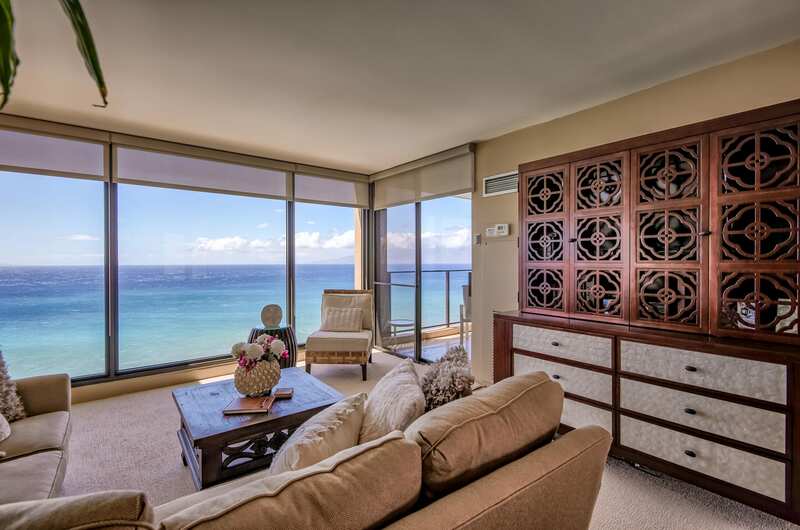 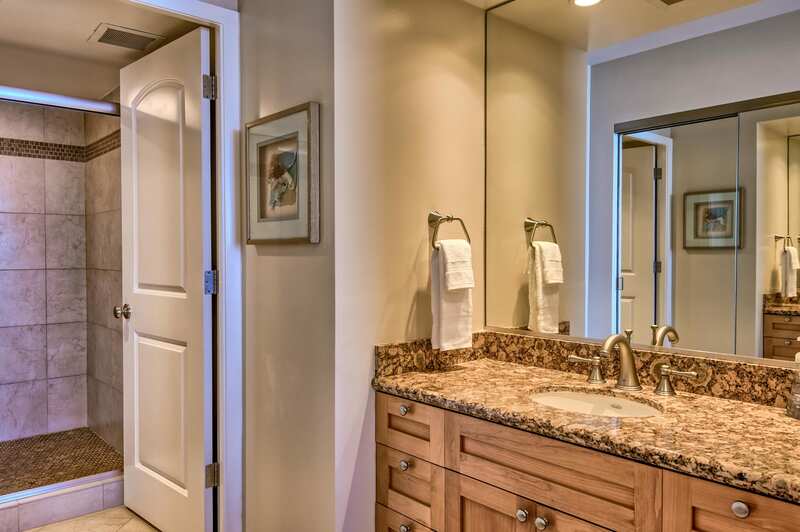 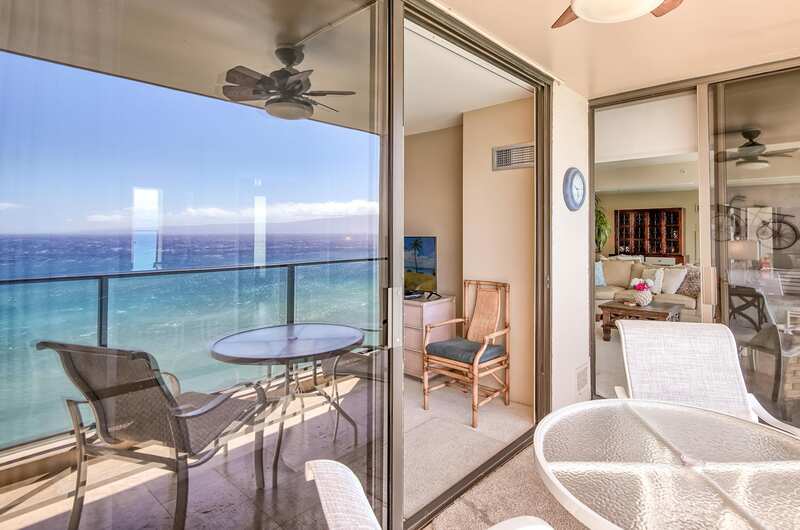 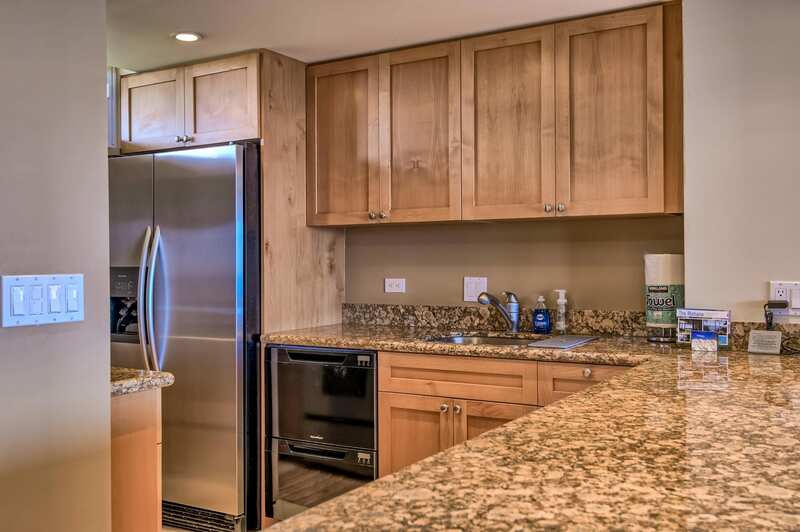 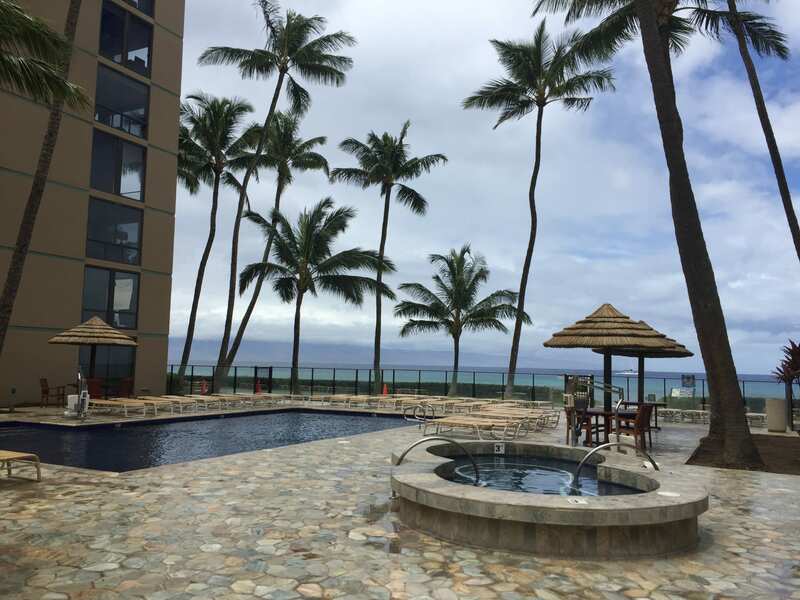 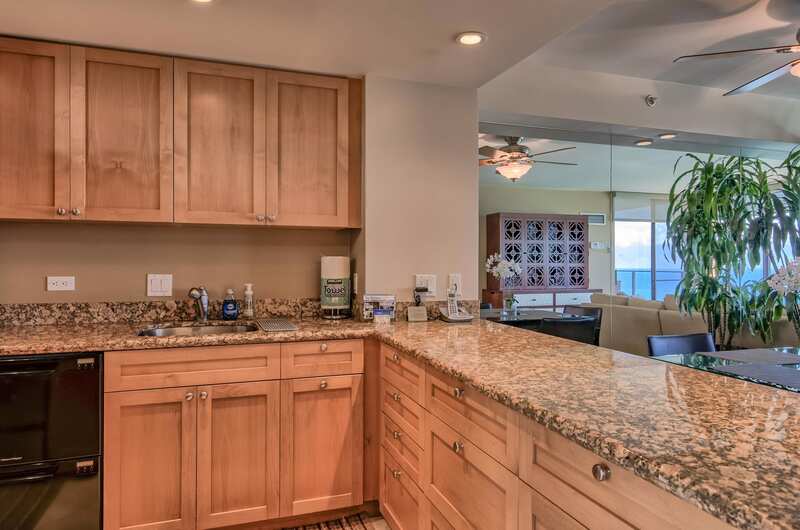 One bedroom Condominium on Kaanapali beach with a direct ocean view from every room! 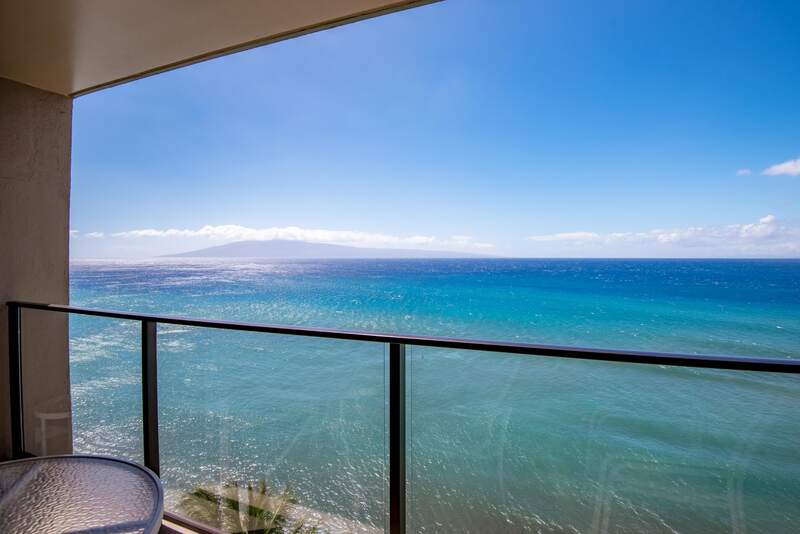 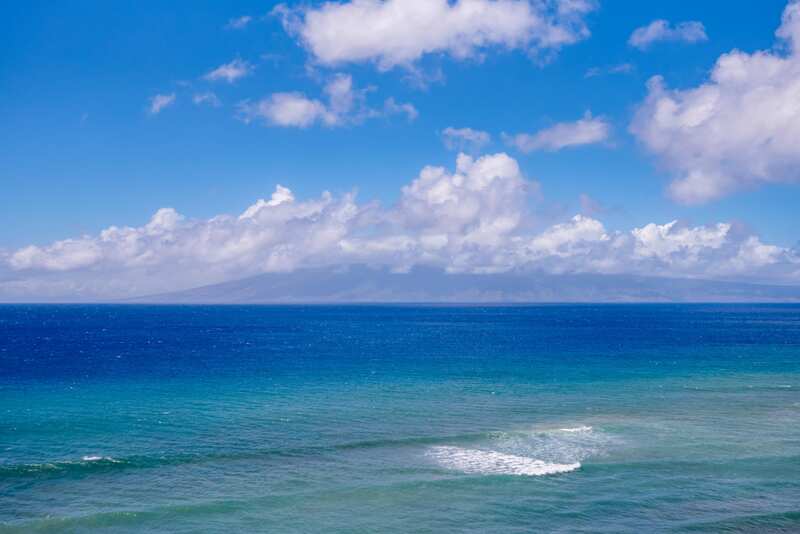 Stunning ocean views of the pacific ocean and the Outer-Islands of Molokai and Lanai. 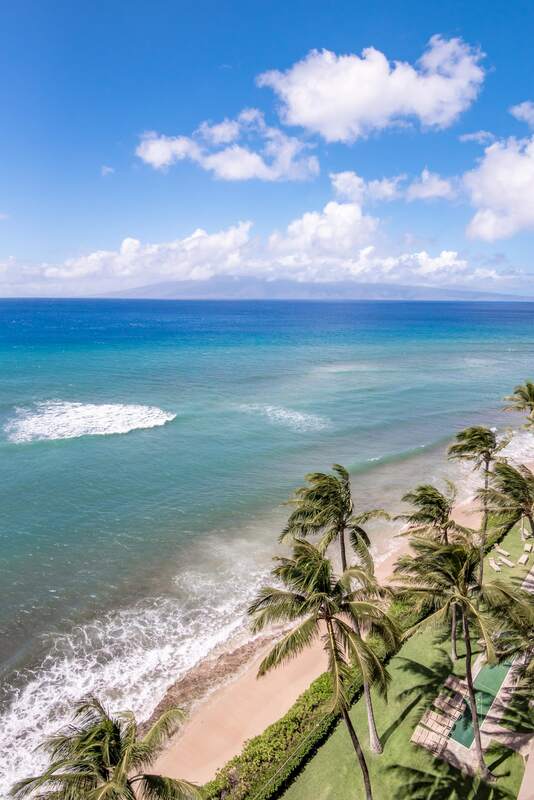 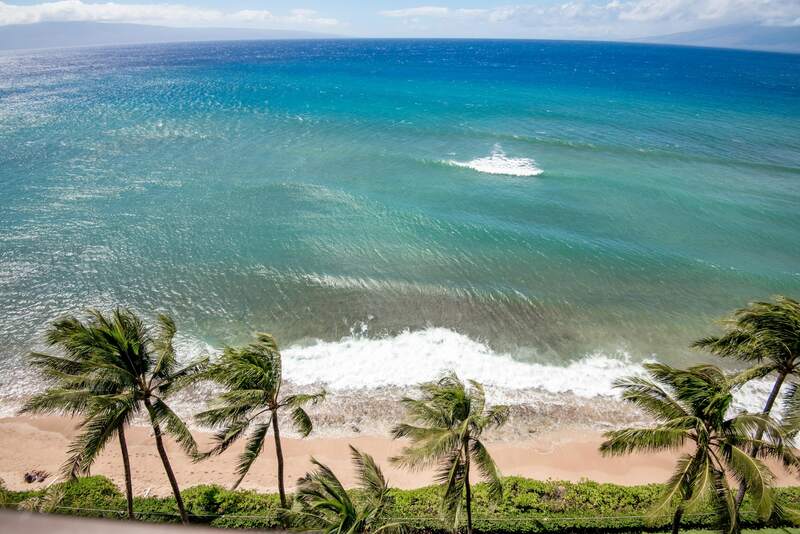 Watch the whales at play gazing over Conde Nast's #1 Beach in the World, Kaanapali Beach. 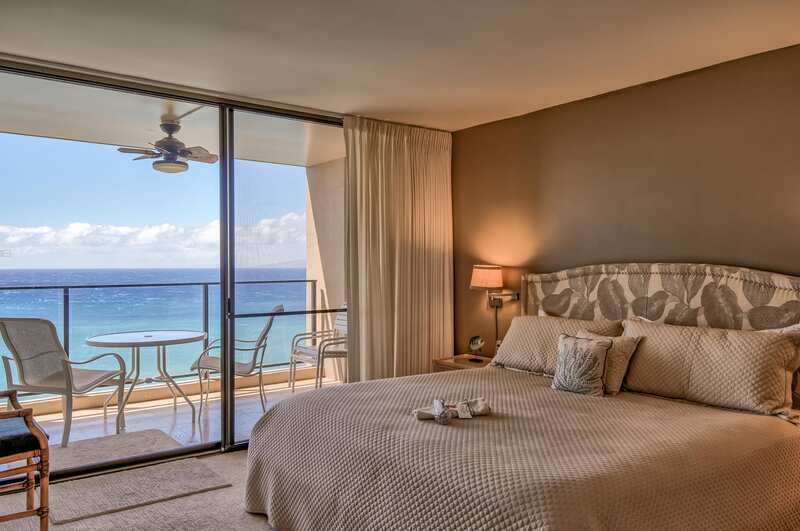 Penthouse 1215 is fully upgraded with new furniture, carpeting in living and bedroom areas, New King bed. 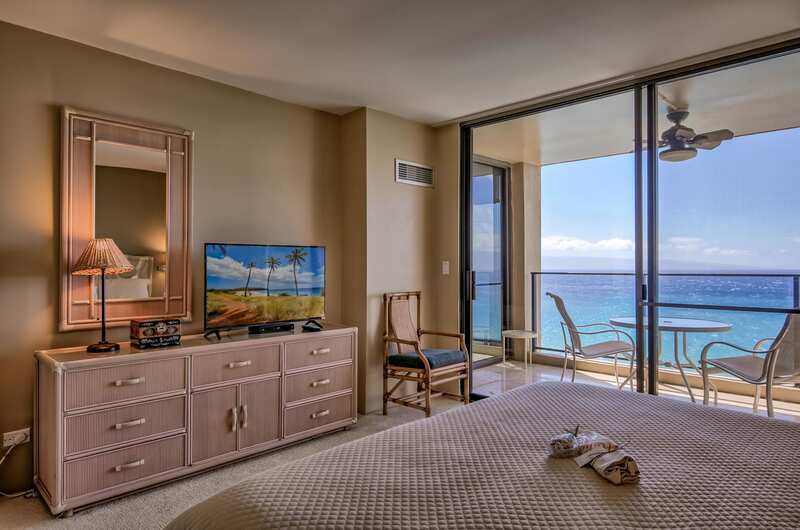 We have every amenity conceivable... flat screen TV's, internet high speed & wireless (FREE), and contemporary style furnishings for your stay. 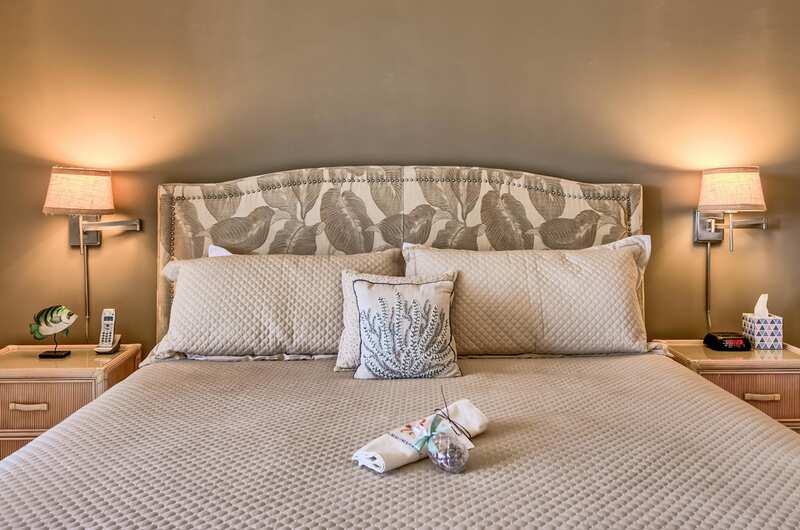 The Mahana is a great place to honeymoon, have a romantic anniversary or other special occasion. 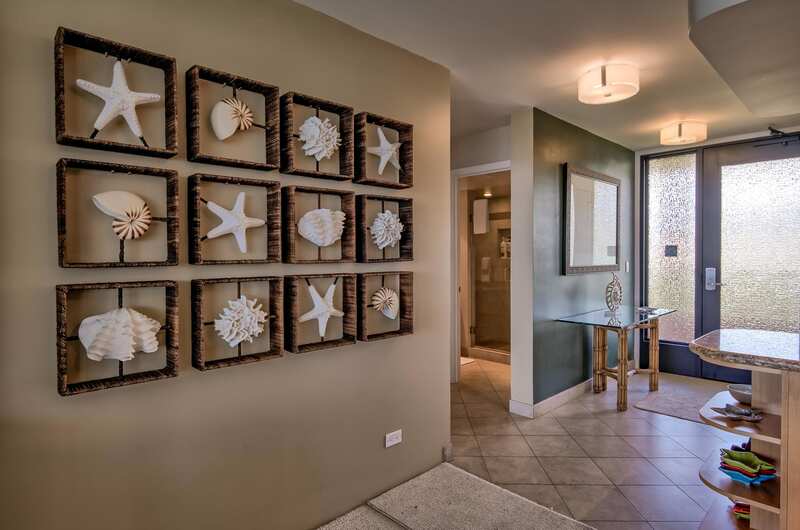 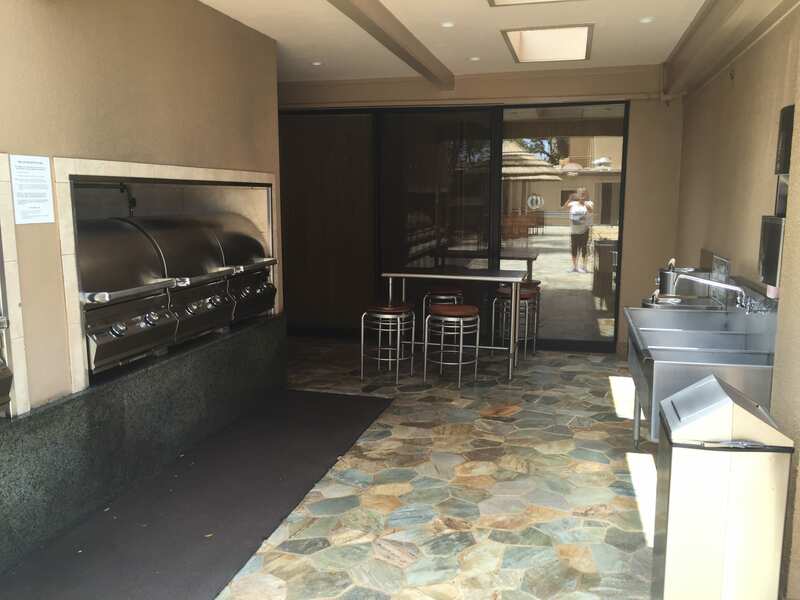 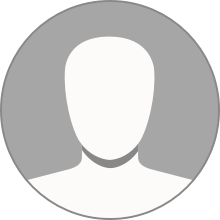 It is a quite property with plenty of thing to do and see nearby. 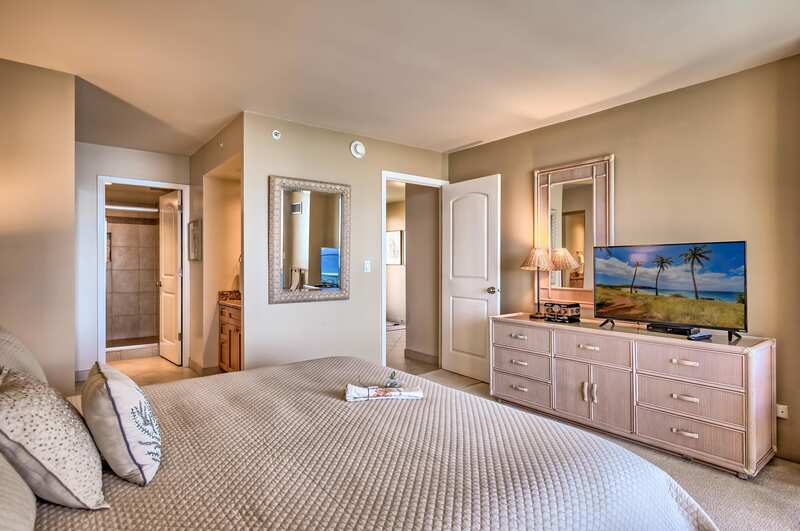 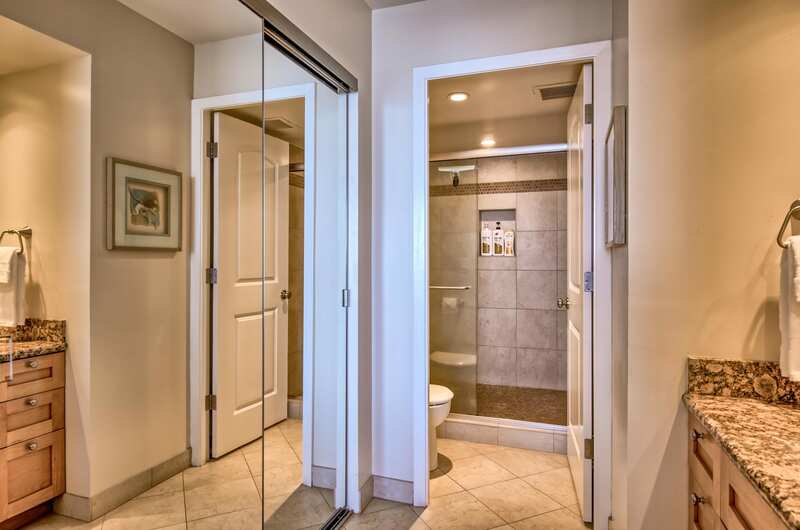 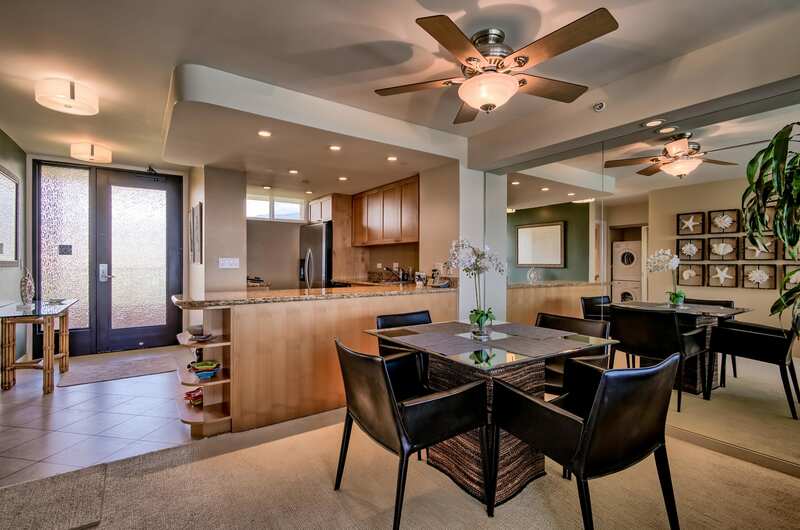 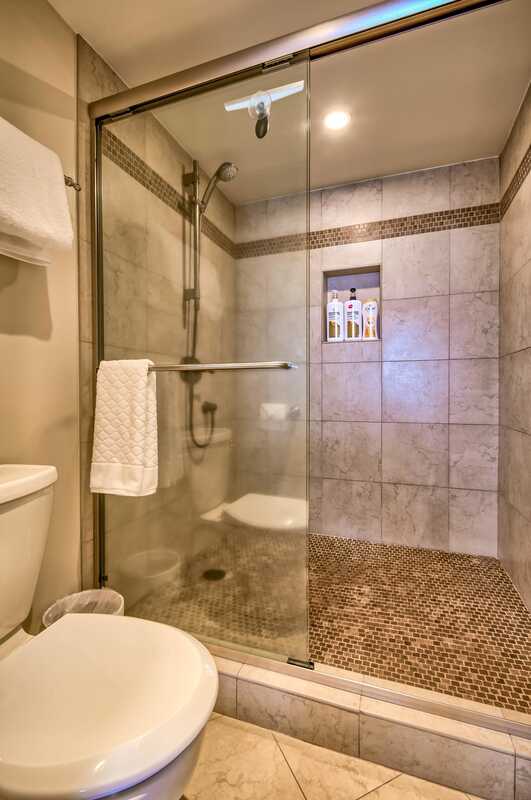 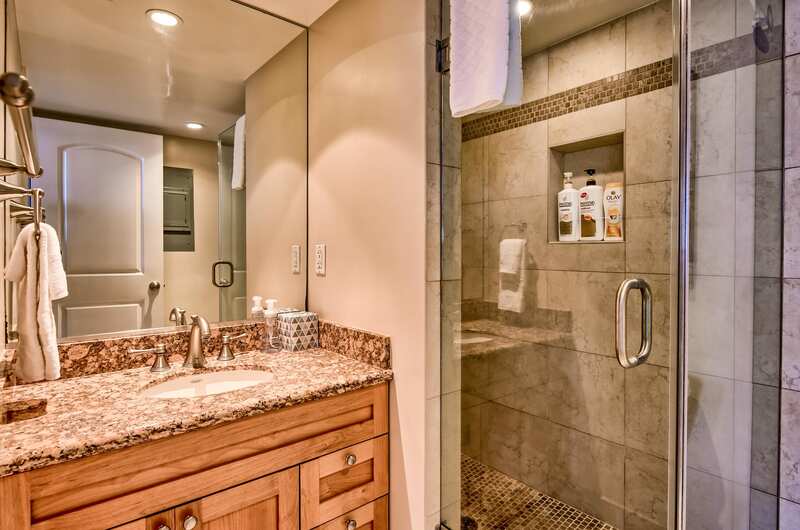 This updated condo is fully furnished for all your needs. 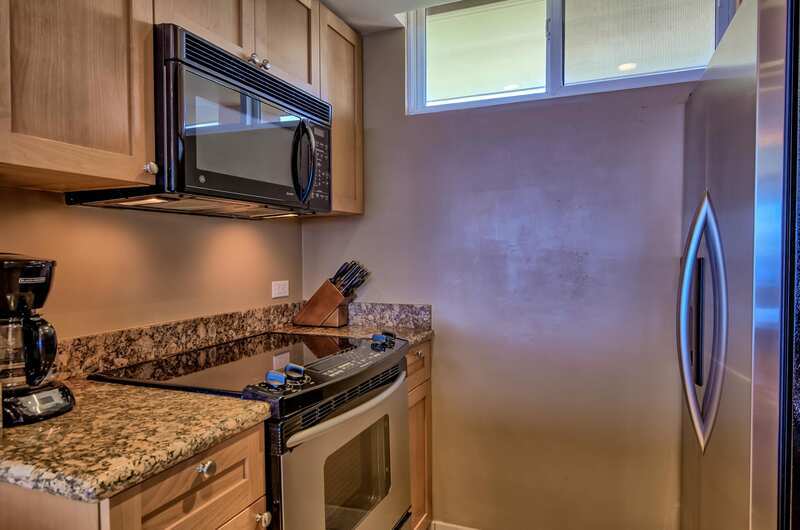 Kitchen, Washer/Dryer, 2 full bathrooms.